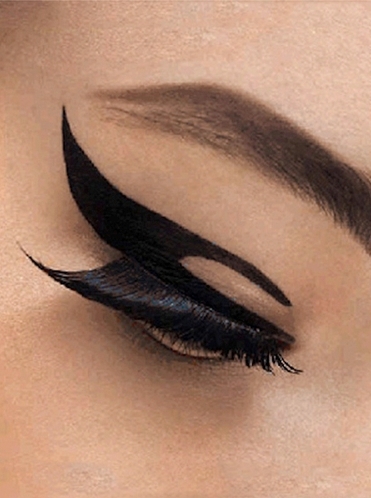 Lush Fab Glam Inspired Lifestyle For The Modern Woman: Cute Finds: Dior's 'Velvet Eyes' Adhesive Eye Liner Patches! Cute Finds: Dior's 'Velvet Eyes' Adhesive Eye Liner Patches! Are stick-on/adhesive makeup the way of the future? First Violent Lips introduced the temporary lip tattoos and now design house Dior has released their 'Velvet Eyes' multi-wear adhesive eye liner patches. The set of 4 patches retails for $59 at Sephora and comes in four shades; two matte black, one embellished with grey Swarovski Crystals and one with clear Swarovski Crystals at the corner of the eyes. Stick-on makeup is most definitely becoming a trend, on the plus side you won't have to worry about using eye makeup remover at the end of the night. What do you think of Dior's 'Velvet Eye' eye liner patches and will you try it? Leave a comment below. So cool I'm getting it. Oh perfect no more messing up my liquid eye liner. It's about time can't wait to try it.